Montgomery County Executive Marc Elrich released his Recommended Fiscal Year 2020 (FY20) Operating Budget of $5.7 billion for the year that begins on July 1, 2019 – a budget designed to begin to deliver on the promises he made to County residents during his campaign for County Executive. The budget increases County spending for the Montgomery County Public Schools (MCPS) system by $51.1 million and holds property taxes at the Charter Limit by reducing the tax rate by two tenths of one cent per $100 assessed valuation. Elrich’s FY20 total budget increases spending from $5.6 billion to $5.7 billion, a 2.5 percent increase. “I am proposing a substantial down payment on expanding access to quality early childhood education so that Montgomery County’s young children have a future of opportunity regardless of their race or family’s economic circumstances,” said Elrich. “I am increasing our investment in a strong, multimodal transportation system that can serve as the backbone of a growing economy. I am focusing our economic development programs on the small businesses of our County to foster long-lasting wealth for our community. “Finally, I am proposing funding changes to correct several long-term structural deficiencies while simultaneously satisfying the County’s longstanding goal to provide 10 percent of total adjusted governmental revenues in reserve. Balancing these competing priorities was not an easy task. “The last decade has been an extremely challenging period for governments across the country - and particularly in the National Capital region. During this time, Montgomery County has been buffeted by the 2008 global economic meltdown and the painful 2013 regional recession; the ripple effects of which are still felt. Solid economic growth is in a dance with lingering uncertainty. The new federal tax law has introduced more uncertainty and volatility in revenue forecasting for all governments. And the Supreme Court’s Wynne decision has permanently reduced income tax revenues by an estimated $30 million annually. “As a result of these trends, within days of taking office, I was presented with the troubling news that the final closeout of FY18 had turned up an unexpected gap of $44 million due to an underperformance of revenues and overspending in the Fire and Rescue Service (FRS) and Transportation departments. FY18 revenue growth unexpectedly slowed to an anemic 0.3 percent or $14.5 million over FY17 actuals. Income tax revenue estimates flatlined due to massive changes to Federal tax law. Property tax receipts underperformed due to unanticipated reductions in commercial property valuations. Also transfer and recordation taxes fell as the square footage of new construction dropped, and an affordable housing policy change totally exempted several large residential developments from all impact taxes. Unexpected increases in motor fuel costs were the leading cause of overspending in operating expenses for FRS and Transit, while overtime drove the overspending of personnel costs, particularly in FRS. To address the gap in the current fiscal year, Elrich proposed a $45.7 million savings plan. “While the adopted savings plan was critical, the subsequent decline in revenue estimates requires additional action. Therefore, I am proposing we forgo our contribution to the other post-employment benefits (OPEB) Trust Fund for FY19. Instead, I am directing these funds into our reserve accounts to satisfy our longstanding fiscal policy goal of holding 10 percent of adjusted governmental revenues in reserve as protection from additional economic shocks. “The decision to delay OPEB funding for a year is, I believe, the most prudent course of action with just months left in the fiscal year. It is important to note that this action does not alter our commitment to current or future retirees. Their healthcare benefits continue to be fully funded. However, this action will allow us to increase our FY19 reserves to nearly 10 percent. It also allows me to propose an FY20 budget that funds services; provides a modest compensation increase for our dedicated County employees as fully negotiated with their representatives; satisfies our adopted fiscal policies; and addresses some of the structural problems, which have plagued County government over the last few years. $7 million for an Early Care and Education Initiative, a joint effort of the County Government, Montgomery County Public Schools, and Montgomery College to ensure that the achievement gap gets closed. 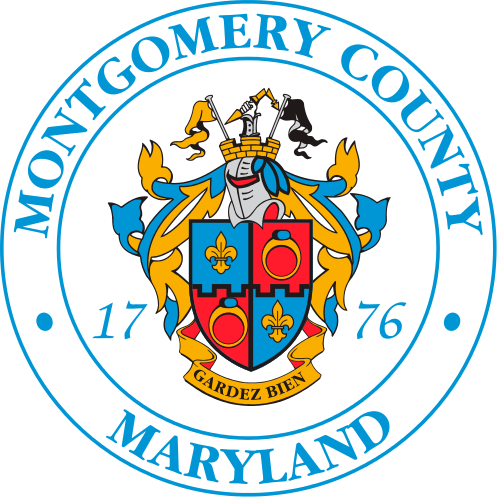 $2.6 billion for the Montgomery County Public Schools system – an increase of $51.1 million from FY19 and is $2.5 million above the State’s Maintenance of Effort level. $800,000 to ensure that the Wheaton Library and Recreation Center opens in late summer 2019. $9.1 million in grants for individual human services programs through community grants. 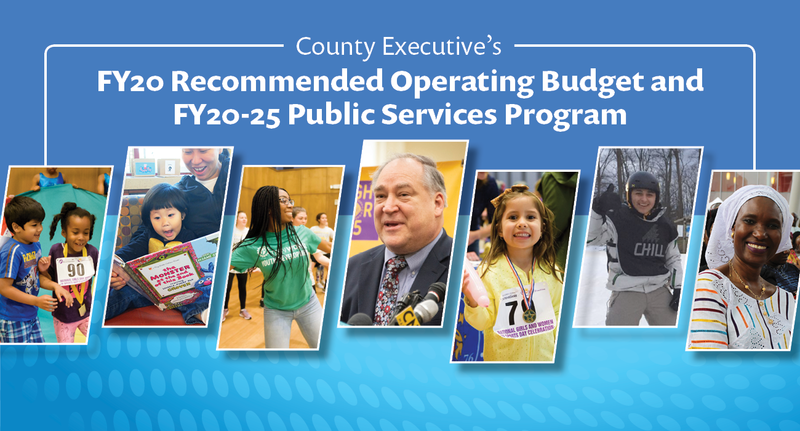 The recommended budget also preserves funding for the County Council’s community grants. The recommended budget begins paving the way to support opportunities that will create, retain, and attract good jobs by helping businesses to grow in our County. Creation of a Regional Business Service Hub Program that will proactively interact and reach out to local businesses and entrepreneurs for assistance needed to grow and expand jobs. Developing a County-based Kitchen Incubator/Food Hall to help entrepreneurs translate their great ideas into successful products and training a workforce to engage in the food and hospitality industry. Add funds to continue providing technical and financial support through the Small Business Assistance Program and the Impact Assistance Fund to eligible small businesses adversely impacted by County-led redevelopment projects. Funding for the Microlending Program will allow continued financial and technical assistance to County entrepreneurs. Supporting the MOVE Program to attract new businesses and expand local ones to reduce the County’s vacant office space. Continuing the UltraMontgomery Initiative to provide a high-speed fiber network that connect people with opportunities and drive economic growth by linking our business, academic and Federal institutions, and transit-oriented, smart-growth communities. Continue redevelopment efforts by leveraging County assets to generate private investment and grow business opportunities in Bethesda, Wheaton, White Flint, White Oak and smaller scale neighborhoods throughout the County. Funding a few targeted initiatives to help move the administration’s environmental objectives forward. Including $1.4 million for the new limited-stop FLASH service on US 29 to bolster public transportation options and reduce vehicle miles travelled. Purchasing 10 electric Ride On buses in FY20. Funds to convert street lights to more energy efficient Light Emitting Diode (LED) fixtures through the capital budget. Installing solar and other clean energy technologies on County facilities. To date, the program has produced enough clean energy to power more than 800 homes. Funds to continue implementation of a new-limited stop, high frequency FLASH bus service on US 29 between the Burtonsville Park-and-Ride Lot and the Silver Spring Transit Center. The new service will open in May 2020. The line will include 18 state-of-the art stations and a fleet of 16, 60-foot, articulated buses, improving mobility and transit reliability on the corridor with 7.5-minute headways in the morning and afternoon peak periods and 15 minutes at all other times, while supporting Elrich’s commitment to improve transit equity in a corridor where 65 percent of residents are minorities, 31 percent speak a language other than English at home, 30 percent of households earn less than half of the area median income, and 12 percent of households have no car. Continuing work on BRT for the MD 355 corridor. More than $500,000 in budget enhancements to bolster inspections and tenant rights – including $218,000 in additional funding for the Renter’s Alliance to provide information and services to tenants; $144,450 to fund two, vacant housing code inspector positions; $102,647 for tenant advocacy services; $100,000 to enhance the Housing Code Inspections Delivery System; and $74,365 for tenant-landlord outreach and educational activities. $41.3 million budget for the Montgomery Housing Initiative Fund, a 16 percent increase ($5.7 million) from the FY19 approved budget. Part of this increase is an additional $2.6 million transfer from the General Fund to the fund. Furthermore, an additional $4.77 million loan repayments are reallocated in FY19 and $17 million in FY20 for the Affordable Housing Acquisition & Preservation CIP Project. Funding for the creation of a Senior Home Sharing Pilot Program. This innovative program will connect senior home providers who have a spare room with home seekers interested in a long-term housing option. This home-sharing arrangement can work when renters find it difficult to find affordable rental housing and home providers either need extra income or prefer living with another person who can offer social connection and/or assist with tasks, errands, and costs related to property maintenance. Adding an additional $1 million in the Services to End and Prevent Homelessness budget to help continue this path to reach functional zero chronic homelessness in Montgomery County. Adding funds for a legal assistant in the Gang Unit of the State’s Attorney’s Office, a position that was previously funded with grant funds but is important to retain to continue effective gang prosecutions. Adding a new forensic scientist in the Crime Lab to ensure DNA and other evidence is analyzed in a timely manner. Adding funds to purchase 250 new dashboard cameras for Police patrol cars and adding a position to process public information requests for footage created by those cameras and the Police Department’s body-worn camera program. Funding the full annual contract for Next Generation 911 service, which will expand the ways people can seek assistance from just a phone call to text and video. Adding 20 positions in the FRS to begin closing the structural deficiency identified in CountyStat’s Net Annual Work Hours report and adding to the overtime budget to address historic wage increases. Adding overtime to address failures to respond during the periods in the morning and evening when career personnel are being replaced by community volunteers, who cannot always match the career shift hours when transitioning from the work that supports their families to the unpaid work that supports the community. Funding changes to correct several long-term structural deficiencies while simultaneously satisfying the County’s longstanding goal to provide 10 percent of total adjusted governmental revenues in reserve. Developing a 10-year plan grounded in sustainability that details the challenges the community faces and presents affordable ways to address them.